Northwood Warminster Wins British Property Awards For Warmisnter! Northwood Warminster won The British Property Awards for Warminster, and I am immensely proud and honored to work with such a dedicated team of professionals. After an extensive judging process which involved all the agents in town being mystery shopped Northwood came out in top! We work tirelessly to maintain high levels of customer service and it’s incredibly rewarding when this is recognised. Northwood Warminster have now been shortlisted for a number of national awards which will be announced later in the year at ceremony British Property Awards in central London. 379,830 People use Warminster Train Station a year - So what’s that got to do with the Market? It might surprise you that it isn’t always the villages around Warminster or the perceived desirable Warminster streets where properties sell and let the quickest. Quite often, it’s about access to the best transport links. I mean, there is a reason why one of the most popular property programs on television is called Location, Location, Location! As an agent in Warminster, I am frequently confronted with queries about the Warminster property market, and most days I am asked, “What is the best part of Warminster, or best village to live in these days?”, chiefly from new-comers. Now the answer is different for each person – a lot depends on the demographics of their family, their age, schooling requirements and interests etc. 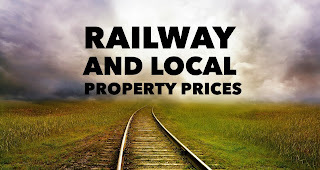 Nonetheless, one of the principal necessities for most tenants and buyers is ease of access to transport links, including public transport – of which the railways are very important. Official figures recently released state that, in total, 522 people jump on a train each and every day from Warminster Train station. Of those, 124 are season ticket holders. That’s a lot of money being spent when a season ticket, standard class, to Bristol is £2,252 a year. Overall usage of the station at Warminster has increased over the last 20 years. In 1997, a total of 206,409 people went through the barriers or connected with another train at the station in that 12-month period. However, in 2016, that figure had risen to 379,830 people using the station (that’s 1,043 people a day). The juxtaposition of the property and the train station has an important effect on the value and saleability of a Warminster property. 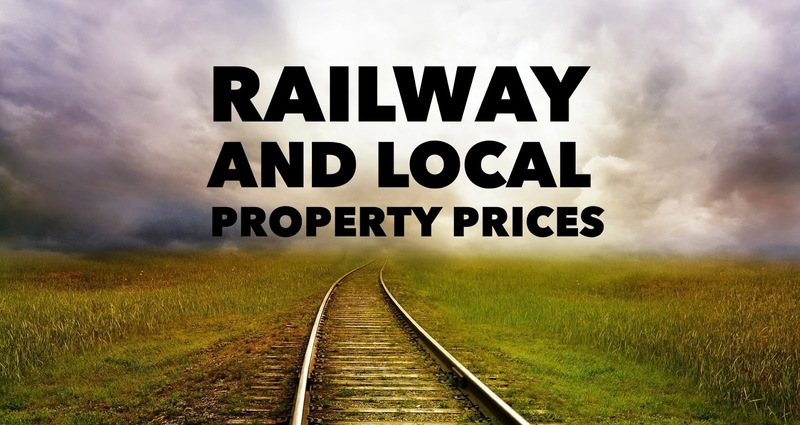 It is also significant for tenants - so if you are a Warminster buy to let investor looking for a property - the distance to and from the railway station can be extremely significant. Should the 2,808 home owning OAP’s of Warminster be forced to downsize? This was a question posed to me a few weeks ago, after reading one of my articles. After working hard for many years and buying a home for themselves and their family, the children have subsequently flown the nest and now they are left to rattle round in a big house. Many feel trapped in their big homes (hence I dubbed these Warminster home owning mature members of our society, ‘Generation Trapped’). So, should we force OAP Warminster homeowners to downsize? Well in a previous article, I suggested that we as a society should encourage, through building, tax breaks and social acceptance that it’s a good thing to downsize. But should the Government force OAP’s? Well, one of the biggest reasons OAP’s move home is health (or lack of it). 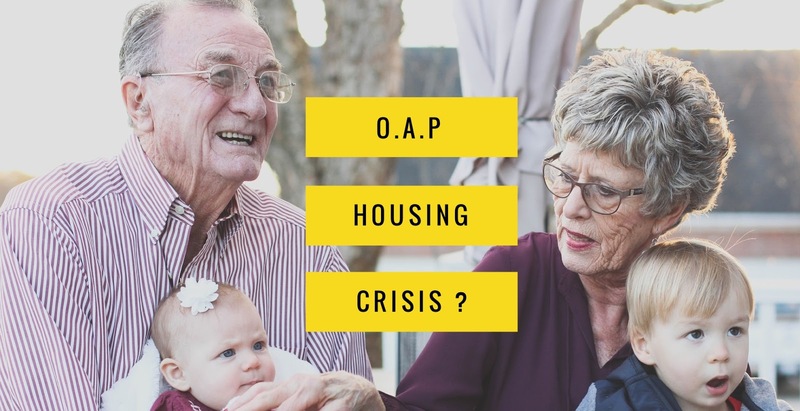 Looking at the statistics for Warminster, of the 2,808 homeowners who are 65 years and older, whilst 1,661 of them described themselves in good or very good health, a sizeable 894 home owning OAPs described themselves as in fair health and 253 in bad or very bad health. But if you look at the figures for the whole of Wiltshire Council (not just Warminster), there are only 2,482 specialist retirement homes that one could buy (if they were in fact for sale) and 3,259 homes available to rent from the Council and other specialist providers (again- you would be waiting for dead man’s shoes to get your foot in the door) and many older homeowners wouldn’t feel comfortable with the idea of renting a retirement property after enjoying the security of owning their own home for most of their adult lives. My intuition tells me the majority ‘would be’ Warminster downsizers could certainly afford to move but are staying put in bigger family homes because they can't find a suitable smaller property. The fact is there simply aren’t enough bungalows for the healthy older members of the Warminster population, and specialist retirement properties for the ones who aren’t in such good health ... so, we need to build more appropriate houses in Warminster. The Government's Housing White Paper, published a few weeks ago, could have solved so many problems with the UK housing market, including the issue of homing our aging population. Instead, it ended up feeling annoyingly ambiguous. Forcing our older generation to move with such measures as a punitive taxation (say a tax on wasted bedrooms for people who are retired) would be the wrong thing to do. Instead of the stick – maybe the Government could use the carrot tactics and offer tax breaks for downsizers. Who knows – but something has to happen? .. and come to think about it, isn’t the word ‘downsize’ such an awful word? 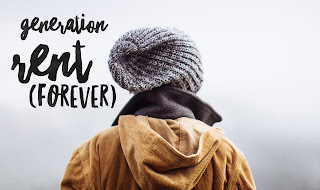 I prefer to use the word ‘decent-size’ instead of ‘down-size’- as the other phrase feels like they are lowering themselves, as though they are having to downgrade themselves in their retirement (and let’s be frank – no one likes to be downgraded). The simple fact is we are living longer as a population and constantly growing with increased birth rates and immigration. So, what I would say to all the homeowners and property owning public of Warminster is ... more houses and apartments need to be built in the Warminster area. But particular attention needs to be given to providing decent sized accommodation for the older generation, especially more bungalows. The Government had a golden opportunity with the White Paper – and were sadly found lacking. And a message to my Warminster property investor readers whilst this issue gets sorted in the coming decade(s) – maybe seriously consider adding bungalows to your portfolio – people will pay handsomely for them – be they for sale or even rent. The Warminster Property Market is a very interesting animal and has been particularly fascinating over the last 12 years when we consider what has happened to Warminster rents and house prices. There’s currently much talk of what will happen to the rental property market following Brexit. To judge that, I believe we must look what happened in the 2008/9 credit crunch (and what has happened since) to judge rationale and methodically, and the possible ramifications for long-term investors in the Warminster property market. You see, an important, yet overlooked measure is the performance of rental income vs house prices (i.e. the resultant yields over time). In Warminster (as for the rest of Great Britain), notwithstanding a slight drop in 2008 and 2009, property rentals have been gradually increasing. The income from rentals has been progressively increasing over the last 12 years. Today, they are 19.6% higher than they were at the beginning of 2005. In fact, over the last five years, the average growth has been 1.7% per annum. From a landlord’s point of view, increase in average rental income is not to be sneered at. However, the observant readers will be noting that we are ignoring an important factor – our friend inflation. However, rental income is not the only way to generate money from property as property values can increase. Although in the short term, cash flows are diminishing, many Warminster landlords may be content to accept that for a colossal increase in capital value. This equates to a reasonably salubrious 2.56% per annum increase over the last 12 years. 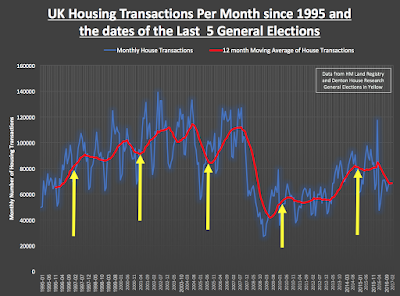 Even more interesting that this includes the 2008/9 property crash, this will make those Warminster landlords and investors feel a little better about the information regarding rents after inflation. 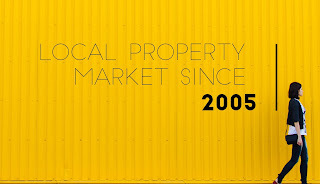 Moving forward, the prospects of making easy money on buy to let in Warminster have diminished, when compared to 2005. Last decade, making money from buy to let was as easy as falling off a log – but not anymore. It would be true to say, my rental income verses property prices study does lead to noteworthy thoughts. I am often asked to look at my landlord’s rental portfolios, to ascertain the spread of their investment across their multiple properties. It’s all about judging whether what you have will meet your needs of the investment in the future. It’s the balance of capital growth and yield whilst diversifying this risk. If you are investing in the Warminster property market, do your homework and do it well. While some yields may look attractive, there are properties in many areas that do not have the solid rudiments in place to sustain them. If you are looking for capital growth, you might be surprised where the hidden gems really are. Take advice, even ask your agent for a portfolio analysis like I offer my landlords. What will the General Election do to 4,927 Warminster Homeowners? In Warminster, of the 7,543 households, 2,606 homes are owned without a mortgage and 2,321 homes are owned by a mortgage. 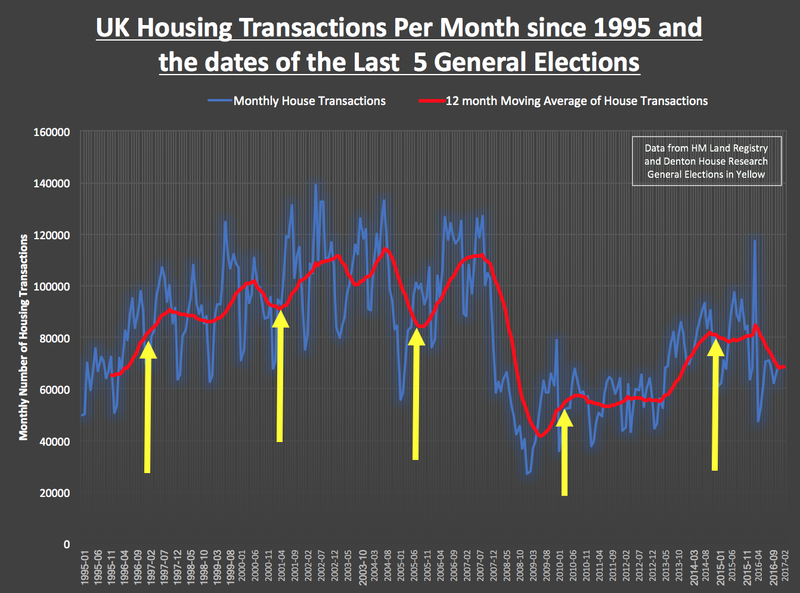 Many homeowners have made contact me with asking what the General Election will do the Warminster property market? The best way to tell the future is to look at the past. So finally, what does this mean for the landlords of the 1,471 private rented properties in Warminster? Well, as I have discussed in previous articles (and just as relevant for homeowners as well) property value growth in Warminster will be more subdued in the coming few years for reasons other than the general election. The growth of rents has taken a slight hit in the last few months as there has been a slight over supply of rental property in Warminster, making it imperative that Warminster landlords are realistic with their market rents. But, in the long term, as the younger generation still choose to rent rather than buy ... the prospects, even with the changes in taxation, mean investing in buy-to-let still looks a good bet. Investing in Warminster buy to let property is different from investing in the stock market or depositing your hard-earned cash in the Building Society. When you invest your money in the Building Society, this is considered by many as the safe option but the returns you can achieve are awfully low (the best 2-year bond rate from Nationwide is a whopping 0.75% a year!). Another investment is the Stock Market, which can give good returns, but unless you are on the phone every day to your Stockbroker, most people invest in stock market funds, making the investment quite hands off, and one always has the feeling of not being in control. However, with buy to let, things can be more hands on. One of the things many landlords like is the tactile nature of property - the fact that you can touch the bricks and mortar. It is this factor that attracts many of Warminster’s landlords – they are making their own decisions rather than entrusting them to city whizz kids in Canary Wharf playing roulette with their savings. I always say investing in property is a long-term game. When you invest in the property market, you can earn from your investment in two ways. When a property increases in value over time, it is known as 'capital growth'. Capital growth, also known as capital appreciation, has been strong in recent times in Warminster, but the value of property does go up as well as down just like shares do but the initial purchase price rarely decreases. Rental income is what the tenant pays you - hopefully this will also grow over time. If you divide the annual rent into the value (or purchase price) of the property, this is your yield, or annual return. So, over the last 5 years, an average Warminster property has risen by £60,550 (equivalent to £33.18 a day), taking it to a current average value of £289,800. Yields range from 5% a year and can reach double digits’ percentages (although to achieve those sorts of returns, the risks are higher). 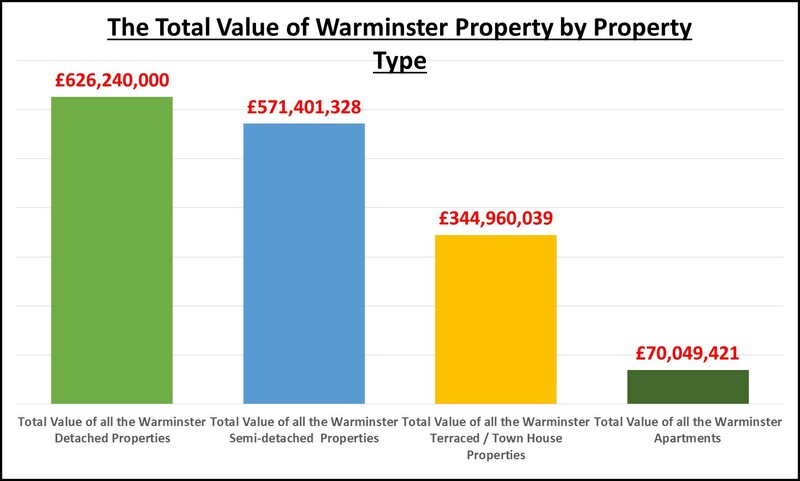 This demonstrates how the Warminster property market has not only provided very strong returns for the average investor over the last five years but how it has permitted a group of motivated buy to let Warminster landlords and investors to become particularly wealthy. As my article mentioned a few weeks ago, more and more Warminster people may be giving up on owning their own home and are instead accepting long term renting whilst buy to let lending continues to grow from strength to strength. The Warminster housing market has gone through a sea of change in the past decades with the Buy-to-Let (B-T-L) sector evolving as a key trend, for both Warminster tenants and Warminster landlords. A few weeks ago, the Government released a White Paper on housing. I have had a chance now to digest the report and wish to offer my thoughts on the topic. It was interesting that the private rental sector played a major part in the future plans for housing. This is especially important for our growing Warminster population. and today it stands at 486,100. Currently, the private rented (B-T-L) sector accounts for 19.5% of households in the town. The Government want to assist people living in the houses and help the economy by encouraging the provision of quality homes, in a housing sector that has grown due to worldwide economic forces, pushing home ownership out of the reach of more and more people. Interestingly, when we look at the 1981 figures for homeownership, a different story is told. The significance of a suitable housing policy is vital to ensure suitable economic activity and create a vibrant place people want to live in. 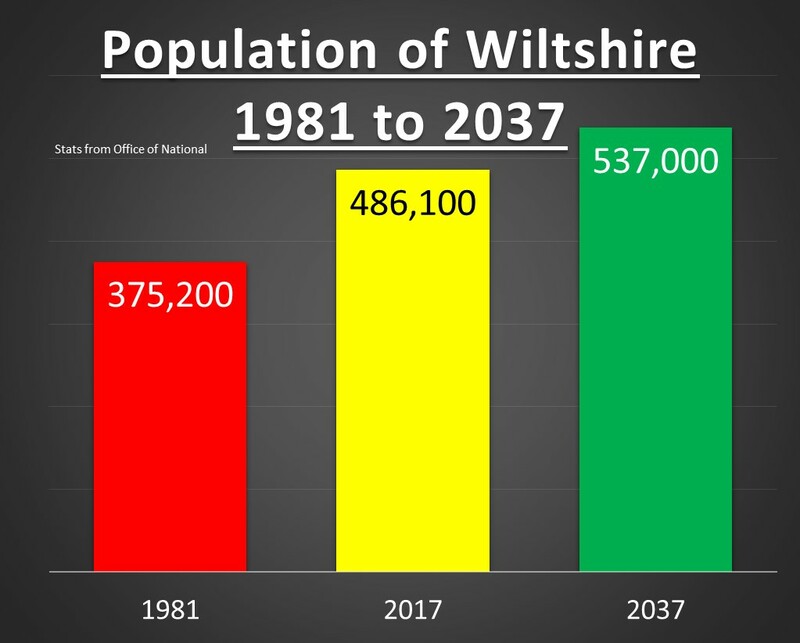 With the population of Wiltshire set to grow to 537,000 by 2037 – it is imperative that Wiltshire Council and Central Government all work actively together to ensure the residential property market doesn’t hold the area back, by encouraging the building and provision of quality homes for its inhabitants. Private landlords will not be expected to offer discounts, nor offer 3-year tenancies – but it is something Warminster landlords need to be aware of as there will be greater competition for tenants. Over the last ten years, home ownership has not been a primary goal for young adults as the world has changed. These youngsters expect ‘on demand’ services from click and collect, Amazon, Dating Apps and TV with the likes of Netflix. 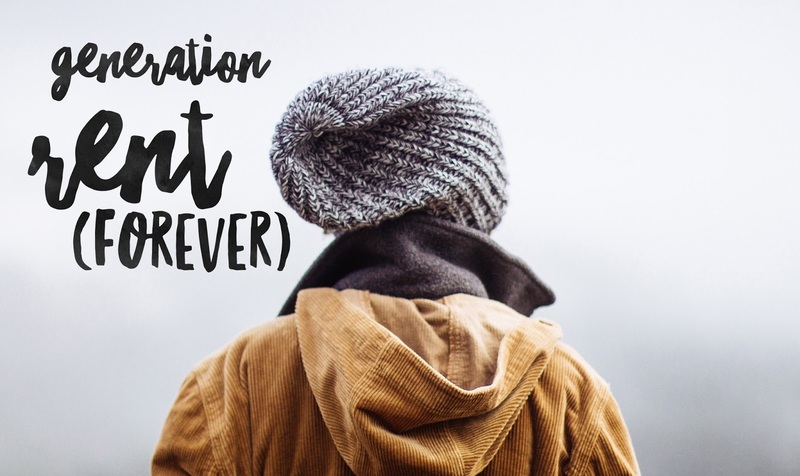 Many Warminster youngsters see that renting more than meets their accommodation needs, as it combines the freedom from a lifetime of property maintenance and financial obligations, making it an attractive lifestyle option. Private rented housing in Warminster and Wiltshire, be it B-T-L or B-T-R, has the prospective to play a very positive role. Last week, I wrote an article on the plight of the Warminster 20 something’s often referred to by the press as ‘Generation Rent’. Attitudes to renting have certainly changed over the last twenty years and as my analysis suggested, this change is likely to be permanent. In the article, whilst a minority of this Generation Rent feel trapped, the majority don’t – making renting a choice not a predicament. The Royal Institution of Chartered Surveyors (RICS) predicted that the private rental sector is likely to grow substantially by 1.8m households across the UK in the next 8 years, with demand for rental property unlikely to slow and newly formed households continuing to choose the rental market as opposed to buying. However, my real concern for Warminster homeowners and Warminster landlords alike, as I discussed a couple of months ago, is our mature members of the population of Warminster. In that previous article, I stated that the current OAP’s (65+ yrs in age) in Warminster were sitting on £719.7m of residential property ... however, I didn’t talk in depth about the ‘Baby Boomers’, the 50yr to 64yr old Warminster people and what their properties are worth – and more importantly, how the current state of affairs could be holding back those younger Generation Renters. 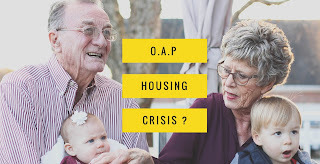 These Warminster Baby Boomers and OAP’s are sitting on 5,141 Warminster properties and many of them feel trapped in their homes, and hence I have dubbed them ‘Generation Trapped’. 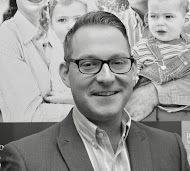 Helping mature Warminster (and the Country) homeowners to downsize at the right time will also enable younger Warminster people to find the homes they need – meaning every generation wins, both young and old. However, to ensure downsizing works, as a Country, we need more choices for these ‘last time buyers’. Theresa May and Philip Hammond can do their part and consider stamp duty tax breaks for downsizers, our local Council in Warminster and the Planning Dept. should play their part, as should landlords and property investors to ensure Warminster’s ‘Generation Trapped’ can find suitable property locally, close to friends, family and facilities. Many people blame the credit crunch and global recession of 2008, which had an enormous impact on the Warminster (and UK) housing market. Predominantly, the 20 something first-time buyers who, confronting a problematic mortgage market, the perceived need for big deposits, reduced job security and declining disposable income, discovered it challenging to assemble the monetary means to get on to the Warminster property ladder. However, I would say there has been something else at play other than the issue of raising a deposit - having sufficient income and rising property prices in Warminster. Whilst these are important factors and barriers to homeownership, I also believe there has been a generational change in attitudes towards home ownership. You see, I believe renting is a fundamental part of the housing sector, and a meaningful proportion of the younger adult members of the Warminster population choose to be tenants as it better suits their plans and lifestyle. Local Government in Warminster (including the planners – especially the planners), land owners and landlords need an adaptable Warminster residential property sector that allows the diverse choices of these Warminster 20 and 30 year olds to be met. This means, if we applied the same percentages to the current 3,697 Warminster tenants in their 1,471 private rental properties, 1,420 tenants have no plans to ever buy a property – good news for the landlords of those 565 properties. Interestingly, in the same report, just under two thirds (62%) of tenants said they didn’t expect to buy within the next year. .. but does that mean the other third will be buying in Warminster in the next 12 months? Some will, but most won’t … in fact, the Royal Institution of Chartered Surveyors (RICS) predicts that, by 2025, that the number of people renting will increase, not drop. Yes, many tenants might hope to buy but the reality is different for the reasons set out above. The RICS predicts the number of tenants looking to rent will increase by 1.8 million households by 2025, as rising house prices continue to make home ownership increasingly unaffordable for younger generations. So, if we applied this rise to Warminster, we will in fact need an additional 630 private rental properties over the next eight years (or 79 a year) … meaning the number of private rented properties in Warminster is projected to rise to an eye watering 2,101 households. 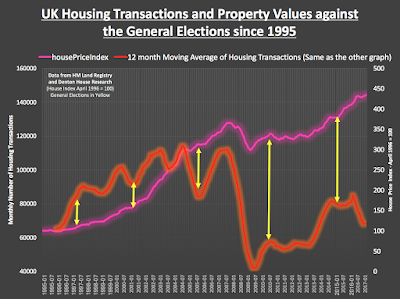 Good barometers of the housing market are the share prices of the big UK builders. Much was made of Barratt’s share price dropping by 42.5% in the two weeks after Brexit, along with Taylor Wimpey’s equally eye watering drop in the same two weeks by 37.9%. 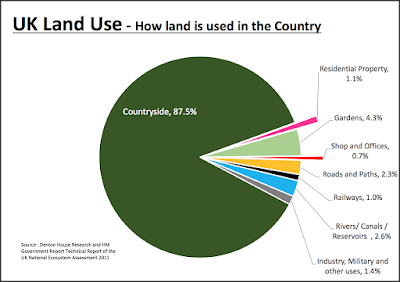 Looking at the most recent set of data from the Land Registry, property values in Warminster are 0.25% up month on month, but the previous month, property values had decreased by 0.35% – so is this the time to panic and run for the hills? Well, as I have spoken about many times in my blog, it is dangerous to look at short term. I have mentioned in several recent articles, the heady days of the Warminster property prices rising quicker than a thermometer in the desert sun between the years 2011 and late 2016 are long gone – and good riddance. 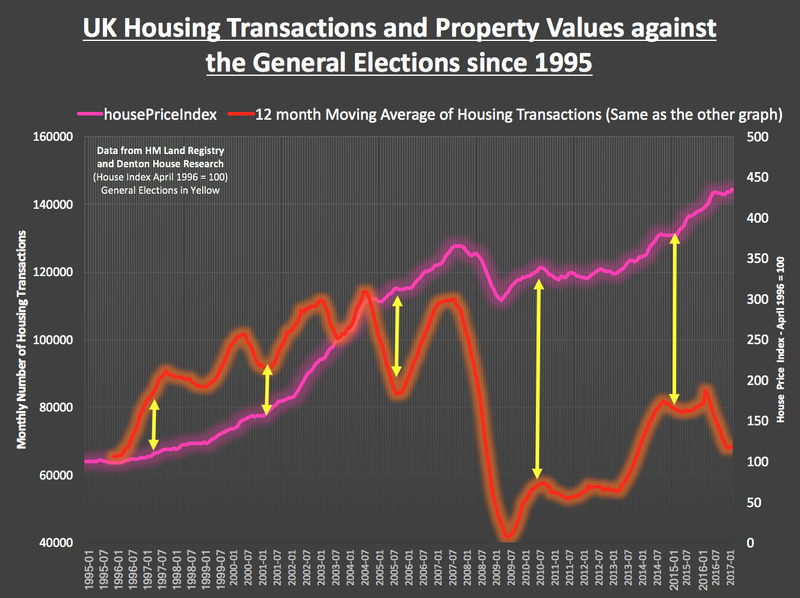 Yet it might surprise you during those impressive years of house price growth, the growth wasn’t smooth and all upward. Warminster property values dropped by 1.38% in November 2012 and 1.22% in December 2014 – and no one batted an eyelid then. You see, property values in Warminster are still 9.39% higher than a year ago, meaning the average value of a Warminster property today is £277,950. Even the shares of those new home builders Barratt have increased by 43.3% since early July and Taylor Wimpey’s have increased by 37.3%. The Office for Budget Responsibility, the Government Spending Watchdog, recently revised down its forecast for house-price growth in the coming years - but only slightly. The Warminster housing market has been steadfast partly because, so far at least, the wider economy has performed better than expected since Brexit. There is a robust link between the unemployment rate and property prices, and a flimsier one with wage growth. 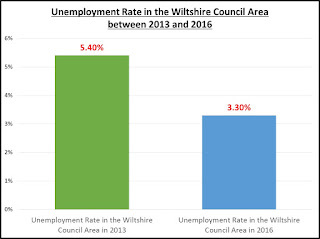 Unemployment in the Wiltshire Council area stands at 8,400 people (3.3%), which is considerably better than a few years ago in 2013 when there were 12,900 people unemployed (5.4%) in the same council area. However, inflation is the only thing that does worry me. Looking at all the pundits, it will get to at least 3% (if not more) in the latter part of 2017 as the drop in Sterling in late 2016 renders our imports with higher prices. If that transpires then the Bank of England, whose target for inflation is 2%, may raise interest rates from 0.25% to 2%+. However, that won’t be so much of an issue as 81.6% of new mortgages in the UK in the last two years have been fixed-rate and who among us can remember 1992 with Interest rates of 15%! Forget Brexit and yes inflation will be a thorn in the side – but the greatest risk to the Warminster (and British) property market is that there are simply not enough properties being built thus keeping house prices artificially high. Good news for those on the property ladder, but not for those first-time buyers that aren’t! In the coming weeks in my articles on the Warminster Property Market, I will discuss this matter further! This fascinating question was posed by the 14-year-old son of one of my Warminster landlords when they both popped into my office. So I thought to myself, I would sit down and calculate what the total value of all the properties in Warminster are worth … and just for fun, work out how much they have gone up in value since his son was born back in the autumn of 2002. In the last 14 years, since the autumn of 2002, the total value of Warminster property has increased by 54% or £565.5 million to a total of £1.61 billion. Interesting, when you consider the FTSE100 has risen by 68.9% and inflation (i.e. the UK Retail Price Index) rose by 38.7% during the same 14 years. When I delved deeper into the numbers, the average price currently being paid by Warminster households stands at £200,775.… but you know me, I wasn’t going to stop there, so I split the property market down into individual property types in Warminster; the average numbers come out like this ..
... yet it got even more fascinating when I multiplied the total number of each type of property by the average value. As detached houses are more expensive, when you compare them with the much cheaper terraced/town houses and apartments, you can quite clearly see how valuable detached properties are in terms of total pound note value, when compared to the value of the terraced/town houses and apartments. So, what does this all mean for Warminster? 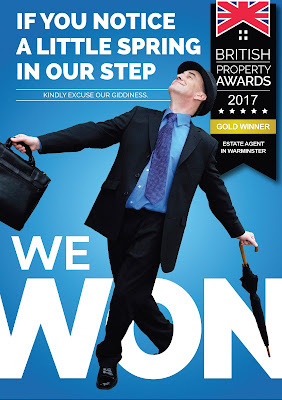 Well as we enter the unchartered waters of 2017 and beyond, even though property values are already declining in certain parts of the previously over cooked Central London property market, the outlook in Warminster remains relatively good as over the last five years, the local property market was a lot more sensible than central London’s. Warminster house values will remain resilient for several reasons. Firstly, demand for rental property remains strong with continued immigration and population growth. Secondly, with 0.25 per cent interest rates, borrowing has never been so cheap and finally the simple lack of new house building in Warminster not keeping up with current demand, let alone eating into years and years of under investment – means only one thing – yes it might be a bumpy ride over the next 12 to 24 months but, in the medium term, property ownership and property investment in Warminster has always, and will always, ride out the storm. In the coming weeks, I will look in greater detail at my thoughts for the 2017 Warminster Property Market.